Rio de Janeiro (AFP) - Brazilian police on Thursday arrested Jose Yunes, a friend of President Michel Temer, in a graft crackdown connected to suspicions over the awarding of contracts at Sao Paulo's Santos port. At least three others close to the center-right president were also detained: retired colonel Joao Baptista Lima, former agriculture minister Wagner Rossi, and Antonio Celso Greco, owner of port logistics company Rodrimar. Prosecutors said the four could be held in preventative detention for an initial five days. The indictments were sealed, but the case appeared linked to an ongoing probe into whether Rodrimar won port contracts in exchange for bribes to Temer. The arrests were authorized by Supreme Court Justice Luis Roberto Barroso, who is overseeing the Santos investigation. Yunes' lawyer called his client's detention "unacceptable" and "illegal." 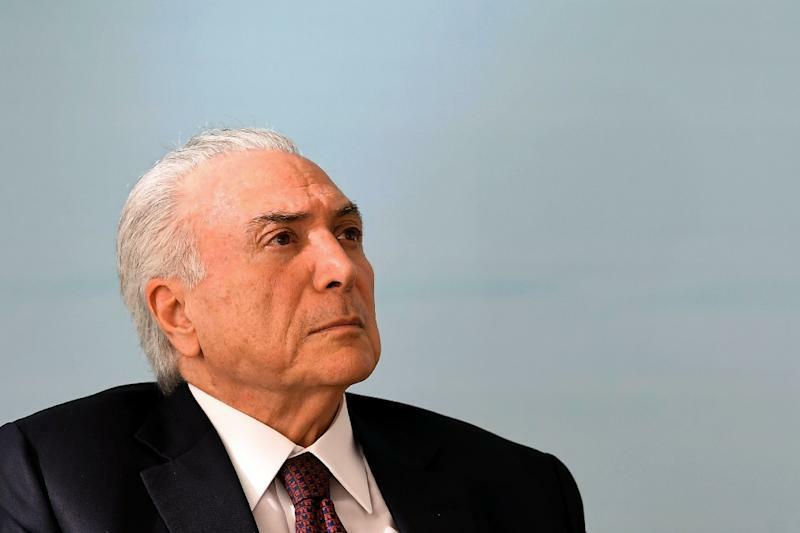 Temer has denied any wrongdoing in the awarding of port contracts and his cabinet secretary, Carlos Marun, told journalists the president would clear his name. "We have complete confidence that with transparent and impartial investigations... the president's complete innocence will ultimately be clear," Marun said. "This does not weaken the government, because President Temer has nothing to do with it." For its part, Rodrimar issued a statement saying it was "surprised" at the arrests and that in its 70 years of existence "it never paid a bribe to any public servant and never authorized anyone to do so in its name." However, the arrests bring Brazil's giant corruption scandal ever closer to Temer. Last year, two criminal corruption charges were filed against him, but he escaped further prosecution because Congress voted against removing his presidential immunity. Dozens of powerful politicians have fallen into the "Car Wash" anti-graft net following revelations that Brazil's leaders were systematically giving contracts with state-controlled enterprises in exchange for massive bribes.